Reliability maintenance usually comes down to what’s known as condition monitoring, the act of monitoring a piece of equipment’s performance while it’s still in use. This usually pertains to large industrial equipment such as turbines, pumps, and compressors. Repairing such large pieces of equipment can be extremely costly, especially when that means taking the equipment offline and shutting down one or multiple aspects of production. That’s why condition monitoring is such an important part of running a business. It allows the maintenance engineer to assess the situation without interrupting the means of production. Successful condition monitoring all starts with in-depth knowledge of the piece of equipment that’s being examined. The engineer should have a firm sense of what the machine is supposed to look and sound like when it’s functioning properly. Every piece of equipment is different. If the engineer doesn’t know what the equipment usually looks or sounds like, they will have a difficult time assessing its current condition. Once the reliability engineer has familiarized themselves with the equipment in question, they should turn on the machine. They should listen for anything out of the ordinary as the machine begins its normal process of operation. The engineer should also examine the piece of equipment after it has been in operation for several hours or at the end of the day. They should visually examine all sides of the machine and listen for any sounds that could be deemed unusual. If the engineer sees or hears anything out of the ordinary, they can use their previous knowledge and experience to determine when the machine is likely to fail. The company can then take action according to this prediction by scheduling some downtime or by ordering a new piece of equipment. If there is a problem with a piece of equipment, it’s likely that it will exhibit some warning signs while it’s in operation. The engineer might notice some inconspicuous sounds, such as a grating noise, excessive vibrations, or a loud boom. The engineer will also need to keep an eye on the machine’s internal temperature and pressure monitor. If the equipment comes with any meters, the engineer should keep a log of how these readings have changed overtime. It’s also important to watch out for any visual signs of distress, such as a leak or a discharge of some kind. If the surface of the machine is covered in dust, debris or some form of residue, it could be a major sign that the machine is wearing down with age. All this information will be used to determine the overall condition of the equipment. 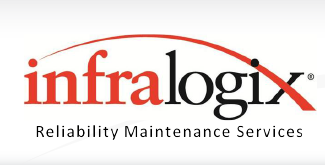 If you’re looking to invest in a quality reliability maintenance engineer for your business, you can always contact the professionals at Infralogix. We proudly serve the entire state of Virginia, focusing mainly on the greater Richmond, Tri-Cities, & Hampton Roads areas.